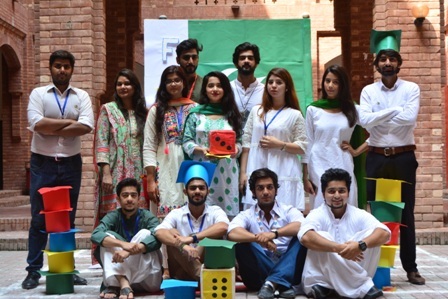 FJS arranged a stall in S-octa to make the incoming freshmen aware of the operations of FJS. 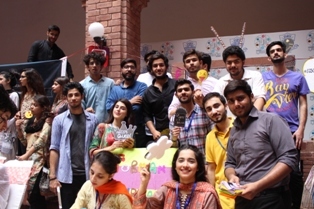 The freshmen who were interested in contributing to the society were welcomed. The stall also had a media wall with multiple props to be used in the pictures. A dance performance in collaboration with FMS was also done. It was a flash mob which got the attention of a large number of students. 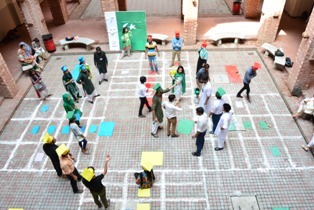 FJS also came with an innovative idea of playing Ludo with actual humans in place of Ludo pieces. 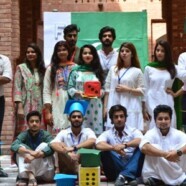 The idea was greatly applauded by students and a many came to participate. We had multiple rounds, so that maximum number of people get accommodated. It also merits mentioning here that the production of official documentary and newsletter of Freshmen Experience is also the responsibility of FJS.